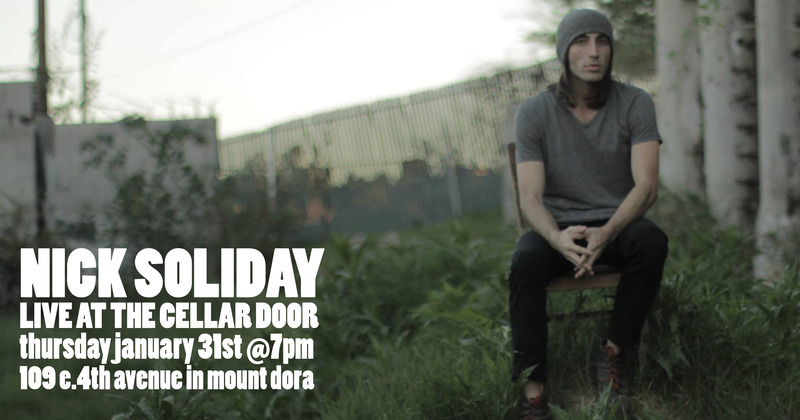 Nick Soliday is a singer/songwriter recently relocated from Los Angeles, California. He says he writes “about love and pain” and presents “new music for curious ears.” We say he’s a remarkably talented musician whose performance you won’t wanna miss! So get yourself over to The Cellar Door tonight and enjoy some great music, tasty wine and good company.